Store-bought sweets are often high in calories. You should prepare your own sweets for this Raksha Bandhan. Home-made sweets do not have adulterated ingredients. Sweets made at home also taste better. Rakshabandhan, the celebration of a brother's dedication and love for his sister, can not be complete without the aroma and delight of sweets. But how many healthy options can you find in sweets? Only a few and out of them only a few would be as delicious as the need of the day. What you need is something healthy. These healthy sweet recipes deserve to be your cook list for this Raksha Bandhan. Angoori rabdi can add more joy to your rakshabandhan and to get this perfect sweet dish, all you need is 3 cups of low fat milk, 8 rasgullas cut into halves, 1/4 tsp of lemon juice,1 tsp of cornflour dissolved in 1 tbsp of low-fat milk, 4 tsp of sugar substitute and a pinch cinnamon powder. To prepare, soak the rasgullas in water for 1 minute and then drain and discard the water. Repeat step 1 for 4 to 5 times, until all the sugar has been removed from the rasgullas. Now heat the milk in a non-stick pan and add the lemon juice drop-by-drop, stirring continuously to get a grainy texture. Add the cornflour mixture to the milk and mix well. Cook till the mixture thickens. Add the sugar substitute and cardamom powder. Mix them all well and cook for a minute. Remove from flame and keep aside to cool. Add the rasgulla pieces, stir gently and refrigerate them for at least 1 hour. 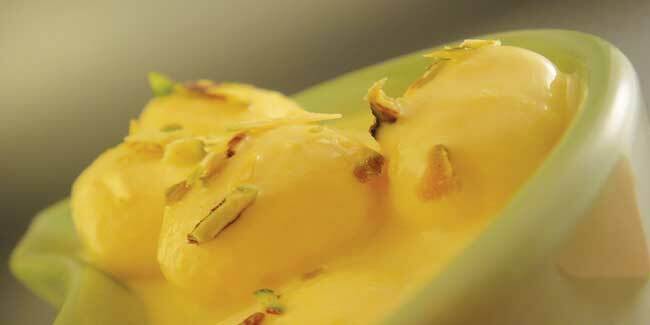 Serve chilled after garnishing with saffron. Ingredients for this sweet dish include 4 cups of low fat milk, 1 1/2 cups of finely chopped fresh figs,1 tsp of lemon juice,1 tsp of cornflour dissolved in 1 tbsp low fat milk, 1/2 cup of low fat or 'mava' and 2 tbsp of sugar substitute. To prepare, refrigerate the fig pieces to chill. Pour the milk into a broad non-stick pan and bring it to a boil. Simmer over a medium flame, stirring continuously. Add the lemon juice drop by drop to the milk and keep stirring. You will see tiny particles clumping; these are required for the grainy texture of basundi. Do not add lemon juice all at once; if you do so the milk may curdle completely and you will get bigger particles, which is not desirable. Add the cornflour mixture, khoya and sugar substitute in a container and mix all well and simmer for another 1 to 2 minutes. Refrigerate them for at least 1 hour. Add the chilled figs to the cooled, thickened milk and mix well. Serve chilled after garnishing with fig slices. Ingredients needed include 1/2 cup of crushed, digestive biscuits of your choice, 1 1/2 tbsp of melted low fat butter, 1/4 cup of crushed digestive or marie biscuits, 1 1/2 tbsp of melted low fat butter, 2 tbsp of brown bread crumbs, 1 stewed fruit, 3/4 tsp of sugar substitute, 1/4 tsp of cinnamon powder and 1 1/2 tbsp of raisins soaked in 3 tbsp of water water. To prepare the crust, combine the biscuits and butter in a bowl and mix them well to form a crumbly mixture. Spread this mixture on the bottom of a 150 mm. 6" diameter loose-bottomed cake tin and press well to form an even layer. Refrigerate till it has set. To prepare the filling, combine the biscuits and butter in a bowl and mix well. Add the stewed apples, bread crumbs, sugar substitute, cinnamon powder and raisins and mix well. 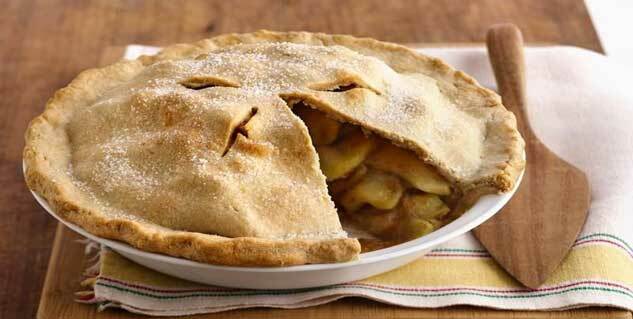 Spread the prepared apple filling onto the crust evenly. Sprinkle the topping on it and place it in a pre-heated oven at 150º C for 20 minutes. Remove, cut into 6 equal pieces and serve warm. Ingredients needed include 1/2 cup of whole wheat flour, 1 tsp of oil, salt to taste, 2 cups of peeled and thinly sliced apples, 1 tsp of brown sugar, 1/4 tsp of cinnamon (dalchini) powder, 1/2 tsp of oil for greasing,1/2 tsp of low-fat butter for brushing and 1/2 cup of vanilla cream. To prepare combine all the ingredients in a deep bowl and knead into a soft dough using enough water. Divide the dough into 5 equal portions and roll each potion into a 125. Mm (5”) diameter circle using a little whole wheat flour for rolling. Heat a non-stick tava (griddle) and cook each chapati lightly on a medium flame on both sides. Combine the apple slices, brown sugar and ½ cup of water in a broad non-stick pan, mix well and cook on a medium flame for 8 to 10 minutes or until the apples turn soft while stirring occasionally. Remove from flame and mash the apple mixture coarsely using a potato masher. Add the cinnamon powder and mix well. Cool slightly and divide it into 5 equal portions.